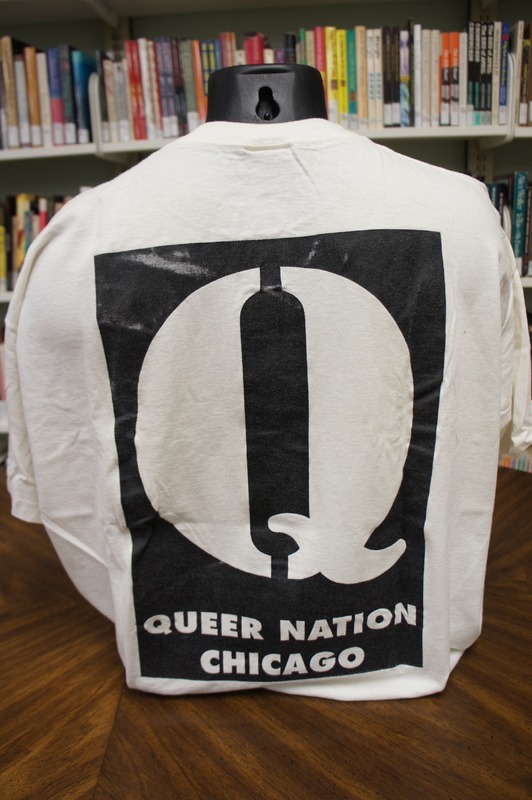 Special Collections Box "Pi-S T-Shirts"
Reproduction and use of this material may require permission from the copyright holder. 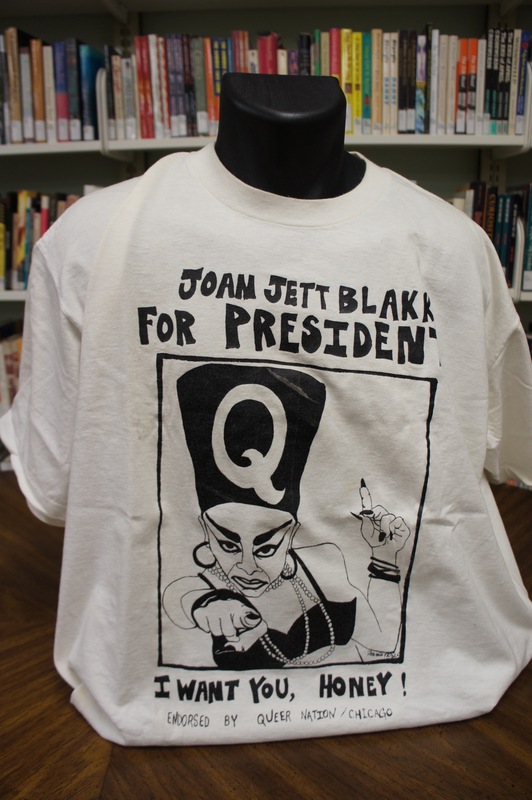 Please contact the Gerber/Hart Library and Archives for more information. 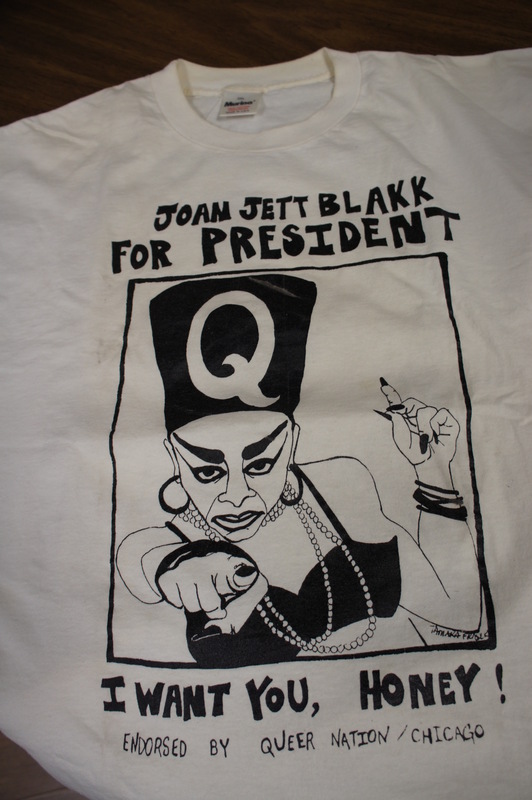 “Joan Jett Blakk for President ,” Wearing Gay History, accessed April 20, 2019, http://www.wearinggayhistory.com/items/show/649.